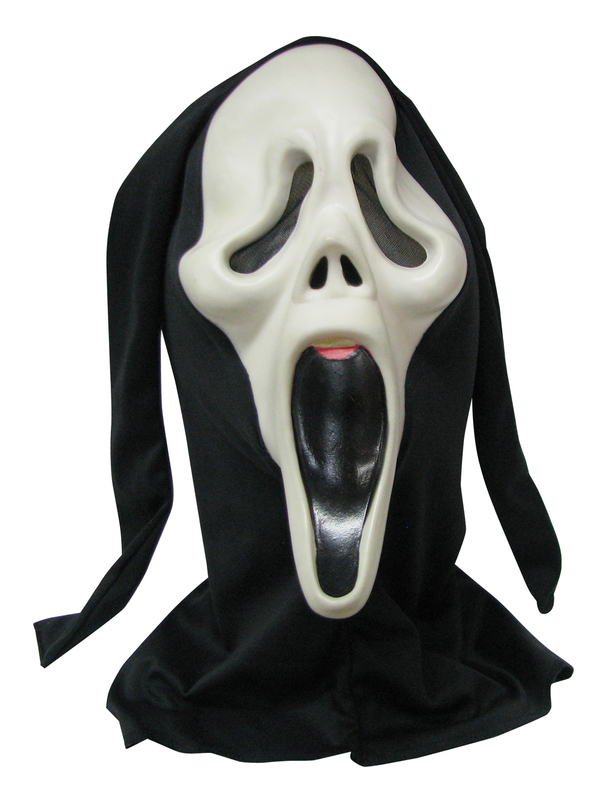 The classic white Scream latex mask with attached black hood. 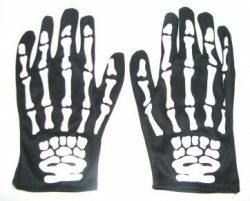 Black gloves with white skeleton print. 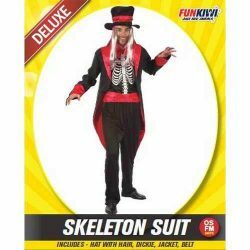 Skeleton girl dress costume. Does not include gloves. Look great in this fantastic skeleton suit horror costume.